Think of Exosomes as the body's "Fed-Ex" or "DHL" delivery system. 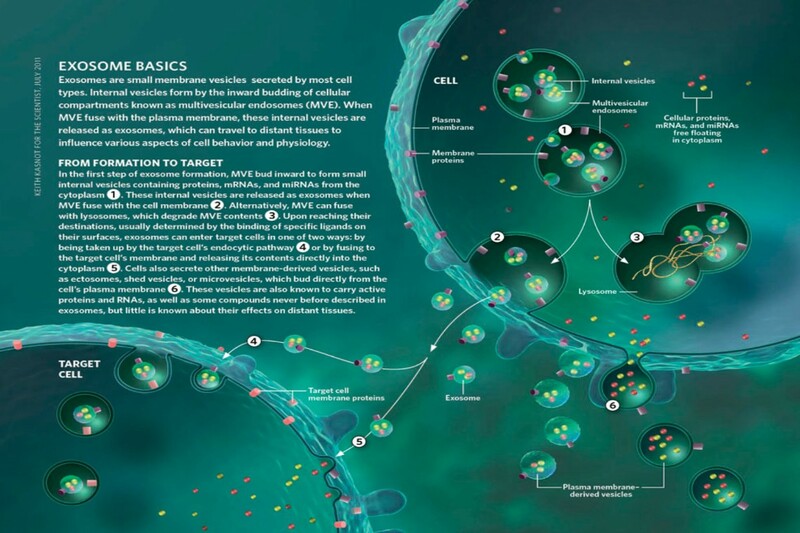 Exosomes are ideal therapeutic agents because their complex cargo of proteins and genetic materials has the diversity and biochemical potential to participate in multiple biochemical and cellular processes, an important attribute in the treatment of complex disease. 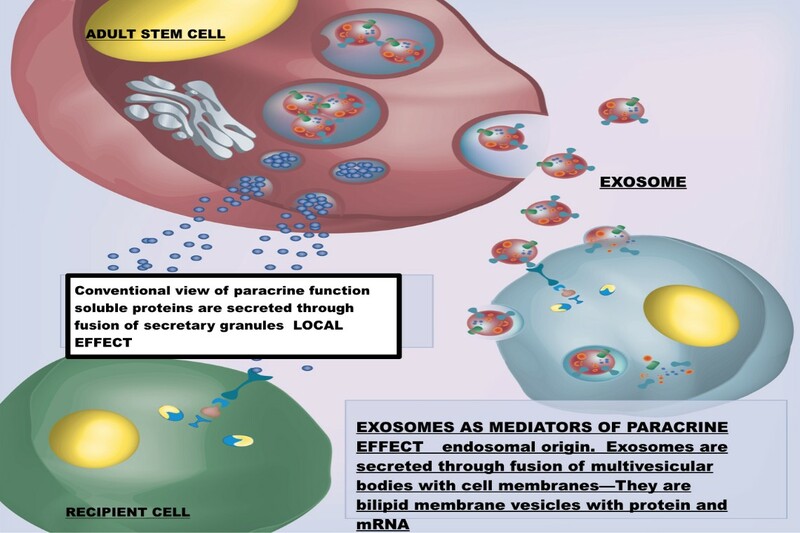 Exosomes are released from the cell when multi-vesicular bodies fuse with the plasma membrane. They are plentiful in all body fluids especially saliva and platelet poor plasma. 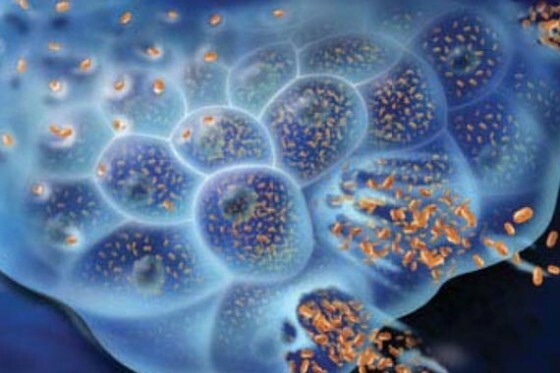 Scientists are actively researching the role that exosomes may play in cell-to-cell signaling, hypothesizing that because exosomes can merge with and release their contents into cells that are distant from their cell of origin, they may influence processes in the recipient cell. We now know that they are much more efficient at carrying proteins and nucleic acids, so would be very good teamed up with natural or recombinant proteins like cytokines.